Welcome to your new home in Reid Pointe! This cozy, well maintained 2 story home is situated on a cul-de-sac lot (2nd biggest in neighborhood) and features 4 bedrooms including a VERY spacious master suite with vaulted ceilings, 3 secondary bedrooms, 2.5 bathrooms, and a convenient flex space on the main level that can be used as an office, den, playroom or FIFTH bedroom with addition of a closet! A formal dining room awaits all of your family dinners and leads directly to the stylish kitchen complete with your appliances included and eat-in breakfast area overlooking the backyard space. The backyard is fully fenced, flat, and plenty of room to entertain & enjoy outdoor living! Community also features a neighborhood pool for your enjoyment. 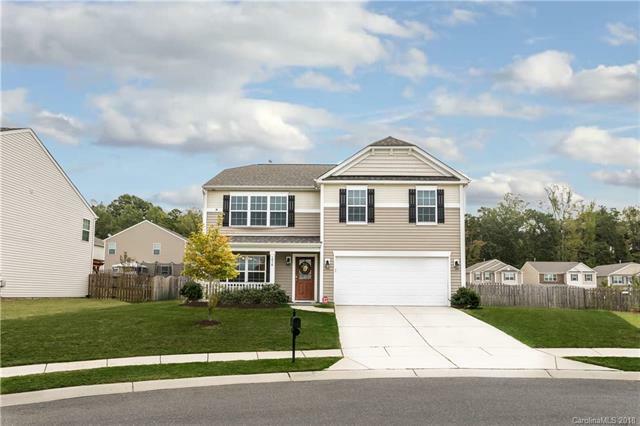 Residing in Indian Land, SC offers perks such as lower taxes but the convenience of being minutes away from all that South Charlotte has to offer. Schedule your tour to see this home TODAY!